NJB Article and Source Repository: Why Palestinians Reject Peace. By Jonathan S. Tobin. Why Palestinians Reject Peace. By Jonathan S. Tobin. A Palestinian carries a poster marking “Nakba” Day lamenting the 68th anniversary of the creation of Israel in 1948. (AP Photo/Nasser Nasser). Why Palestinians Reject Peace. By Jonathan S. Tobin. Commentary, June 14, 2016. As the New York Times’ Jerusalem bureau chief from 1979 to 1994, David Shipler was was the focus of a great deal of justified criticism about the paper’s bias against Israel. He wrote a 1987 book titled Arab and Jew, which was the recipient both of a Pulitzer and full-throated and passionate criticism for its pure moral equivalence. But an interview with Shipler in the Times of Israel reveals a change in his thinking that tells us something about the way the conflict between Israel and the Palestinians has changed since his reporting days. The conventional wisdom about Israeli society in most of the mainstream international media holds that the Jewish population has become more intractable and opposed to peace. Shipler provides a far more nuanced view, derived from conversations with young people conducted for a new edition of his book. They display a diversity of thought that is surprising to him. Whereas as late as 1993, the time of the signing of the Oslo Accords, almost all Israelis saw themselves as the sole victims of the long war for their independence, now they provide a variety of answers—with many recognizing the Palestinian narrative of suffering or seeing “everybody” in the region as victims of the conflict. The contrast with Palestinians attitudes is what’s so striking. At the time of the publication of his book, Palestinians merely wanted to “turn back the clock to 1967” with an Israeli withdrawal from the territories. Today, Shipler says, things are very different. But in speaking to people now, I understood that the time frame has become 1948 for the Palestinians. … Now Israelis are seen only as colonialists. There is no recognition of Jewish history in the Land of Israel, of the Holocaust, and the real reasons for the creation of history. Just as important is that he says that, whereas there was a wide gap between what Palestinian leaders and their people were saying in the 1980s, now there is no daylight between the sort of incitement that is spewed by Hamas and Fatah and the conversations he had with ordinary Arabs. When Shipler was actively reporting on the conflict, he was an exponent of the idea that peace could only come when both sides would be able to see the justice in the claims of the other side. By that definition, it’s clear that one side has moved toward peace, the other has not. Shipler’s assertion that most Israelis no longer view themselves as the sole victims in this conflict is unquestionable. It is also unquestionable that Palestinian attitudes have gone in the other direction. Indeed, Shipler’s impressions reinforce research conducted by Daniel Polisar demonstrating that support for terror and opposition to peace was mainstream Palestinian opinion and not merely the views of a small group of violent extremists. After two decades of concessions and withdrawals on Israel’s part, Palestinians now routinely speak of all of Israel—including liberal, cosmopolitan Tel Aviv, where terrorists struck last week—as “occupied” territory. So, despite the emphasis on settlements and Netanyahu’s supposedly hardline personality, Israel’s willingness to do what Shipler and peace activists advised had the opposite effect on the Palestinians than they thought. 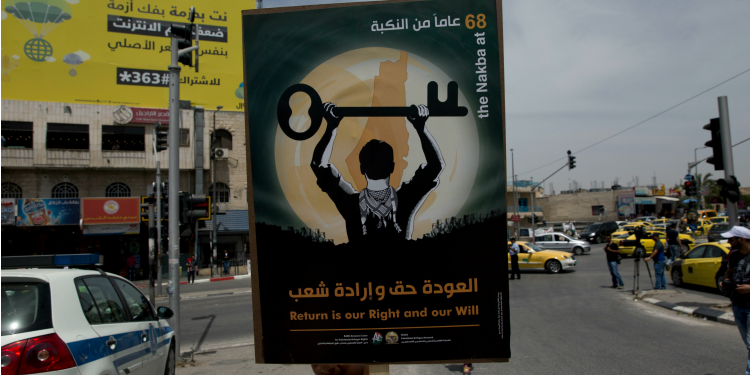 By granting legitimacy to Palestinian concerns, Israelis haven’t inspired reciprocity but have encouraged their foes to double down on their narrative in which the Jews are interlopers without rights or history. It has convinced them that the Israelis are thieves who must be forced to disgorge all of their stolen goods (i.e. all of Israel) rather than fellow humans with whom they must share land if there is to be peace. Shipler seems to have caught onto the basic conundrum of the peace process that has eluded many of his successors at the Times and elsewhere in the media.